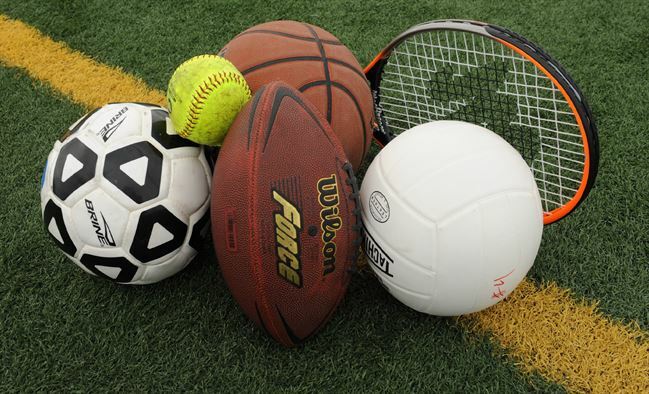 Cupertino high school sports roundup for week of 11/26. Girls Basketball at San Jose High, 4:30 p.m. Boys Basketball at Sobrato High, 5:30 p.m. Girls Soccer vs. Branham (scrimmage), 3:30 p.m. Girls Basketball at Sacred Heart Prep, 6 p.m. Boys Varsity Soccer vs. Piedmont, 3:30 p.m.
Soccer at Lynbrook (pre-season), 5:30 p.m. Boys Soccer at Branham High, 3:45 p.m. Boys F/S Basketball vs. Lynbrook High, 5:00 p.m.
Monta Vista Junior Varsity Girls Basketball Tourney, 3:00 p.m.
Pioneer Girls Basketball Tourney (Varsity Only), 3:00 p.m. Girls Soccer vs. Fremont, 3:30 p.m. Boys Varsity Soccer at Prospect High, 3:15 p.m. Girls Soccer pre-season game, 2:30 p.m.
Be the first to comment on "Cupertino sports roundup: High school athletics this week"